All of HMH Religious devotional heirloom products are made of only the finest materials available and made by the skilled American craftsmen. 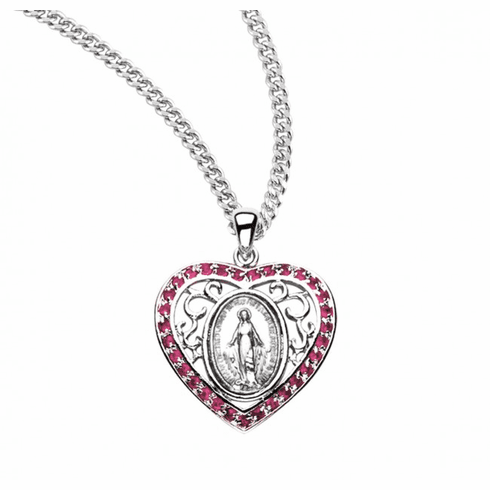 All of HMH Religious items carry a Guarantee from defects in material and workmanship. All Christian Medals are made in USA and come in a deluxe velour box. This medal is lighter than shown. Oval shaped medal set inside a heart with 31 cubic zircons. Weight of medal : 3.6 Grams.